This article was taken from our archives. 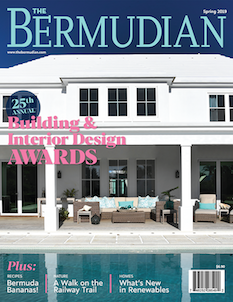 It originally appeared in the July 1946 issue of The Bermudian and has been reproduced exactly as it appeared originally. 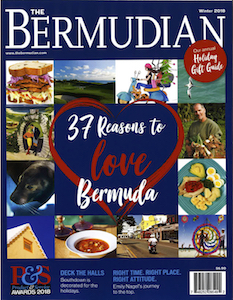 The settlement of Bermuda began in 1612 with the arrival of sixty settlers under the charge of Richard Moore, the first Governor. During his term of office it was decided that Bermuda, being vulnerable to foreign attack, should have fortifications. In consequence, many batteries and forts were built for the defence of the harbour and the capital, St. George’s. When in 1815, Hamilton, long the centre of commerce, became capital, no thought was given to its defence. Shortly before 1880, however, attack from the Americans, who were at the time threatening Canada, seemed imminent. This necessitated some defensive work for Hamilton and its approaches. In pursuance of this idea it was decided that Bermuda should be heavily defended as in the case of Gibraltar. As a result, Forts Hamilton, Prospect and Langton were built. Of these the earliest was Fort Hamilton. The American threat soon passed, even before the fort was finished. The defence of Hamilton was deemed unnecessary, and for the reason no ordnance was ever installed in the fort, although gun emplacements had been laid. Then for thirty years Fort Hamilton was left vacant and exposed to the ravaging hand of nature. realizing that the property could be put to use, in 1912 the Imperial Government stationed troops there. Thus, for the first time the fort was garrisoned. It was there that troops were trained during the war period 1914-18. Shortly after the Armistice was signed the troops were demobilized and the fort once more left deserted. It did not, however, remain for long untenanted. Seeing that the fort was an ideal site for a water reservoir, the Corporation of Hamilton purchased it from the Imperial Government in order to ensure the city an adequate supply of drinking water. Some of the delivery pipers for this project had already been lad when the Watlington Waterworks were opened nearby. The Corporation abandoned their ideas as impracticable and instead used the fort to house Portuguese labourers. 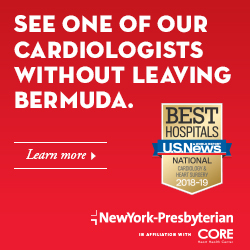 A short time ago Fort Hamilton was again the subject of discussion, the building of a new hospital on the fort property being suggested. The property in question stretched from King Street, the proposed site of the new hospital, to Cavendish Heights. But the project was soon abandoned. 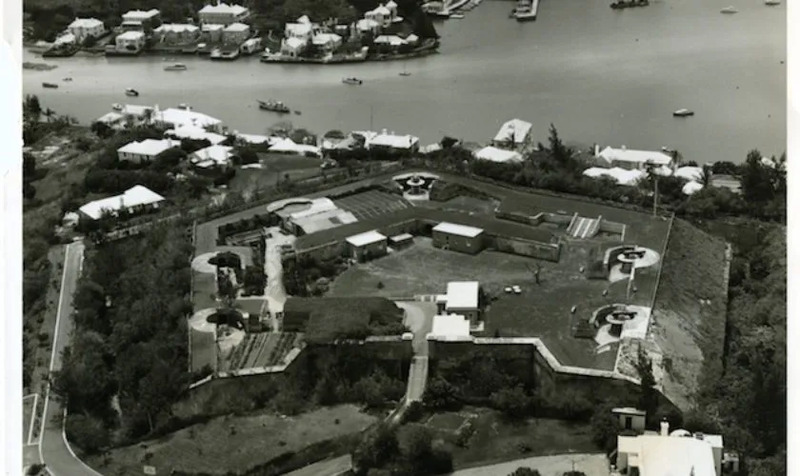 Unlike other Bermudian forts, Fort Hamilton is the only one tenanted by civilians. The occupants of the area within the defensive ramparts of the fort have to some extend altered the appearance of the fortifications by laying out kitchen gardens and erecting lean-to sheds. The permanent stone buildings, the ramparts and the gun-emplacements can, however, be clearly distinguished from the more recent structures. The gen-mountings are five in number, of which two face west and overlook Hamilton Harbour. One faces south, and the remaining two cover approximately the Northeastern and Southeastern land approaches. Occupying a strategic position on a high hill overlooking the City, Fort Hamilton with its guns in position could in the last century have repelled any attempted attack from ships or troops, whether their assault was made from the Harbour, from the Paget south shore from the north shore, or even from Ireland Island. A sightseer is well rewarded after a walk from the city to the fort, for the view from the ramparts is indeed breath-taking. At one’s feet is stretched out the City, with the Cathedral occupying a prominent position. To the west one can look out over the blue waters of the harbour and across the Great Sound dotted with islands. Boats on the water look like toys while people, ant-like, move through the city’s streets. From this vantage point also, Ireland Island may be clearly observed. Among other points of interest in this fort are the subterranean galleries connected by long tunnels. The purpose of these galleries was to protect the southeastern and southwestern walls from attack if ever the enemy succeeded in gaining the moat. The galleries are arranged two on each of the three corners of the moat facing the fort, and being on the same level as the bottom of the moat, command strategic positions. Contact with the enemy, if the need had arisen, would have been effected through the three of four loopholes in each gallery. The tunnels are about eight feet high and four feet wide. Access to them may be obtained either from the fort itself or from the moat; the entry from the fort being effected by means of a connecting tunnel under the moat and a flight of a hundred odd steps to the surface, and the other by means of a door opening directly into the tunnels from the moat. Ventilation in the galleries is provided by means of a pipe in each ceiling. These pipes lead upward and open put into the walls of the most. An electric lighting system, installed possibly when the B.V.R.C. were quartered here, lighted the dark and eerie galleries, but was not extended to the outlying ones. When one stops to think, it will be seen that much time and labour have been spent in excavating the moat from solid Bermuda limestone and then hewing out the long tunnels. On the walls of the galleries one reads today the names and dates of visitors to the fort and of men quartered there in the years following 1912. In another part of the fort may be found the powder magazine and the galleries facing the bridge. These are well underground but not as far down as are the tunnels on the southern sides. The powder magazine itself presents an interesting arrangement. It consists of three rectangular and adjacent chambers, in the walls of which are windows opening into a surrounding passage which is used primarily as a means of ventilation. Leading from the magazine to surface level are shell hoists which facilitate the delivery of shells. To one unfamiliar with the plan of the magazine it seems to be a complicated maze, the effect of which is heightened by the face that exploration in these tunnels, as in the others, must be done by torch-light; to others its appears as an ingenious plan to keep ammunition as dry as possible in Bermuda’s humid atmosphere. The drawbridge, which was the only means of entrance to the fort at the time of its erection, was protected by men stationed in the gallery connected with the magazine. Visitors to the islands are most strongly urged to visit this relic of bygone days which stands as an oleander-grown symbol of an enterprise which cam to nought.